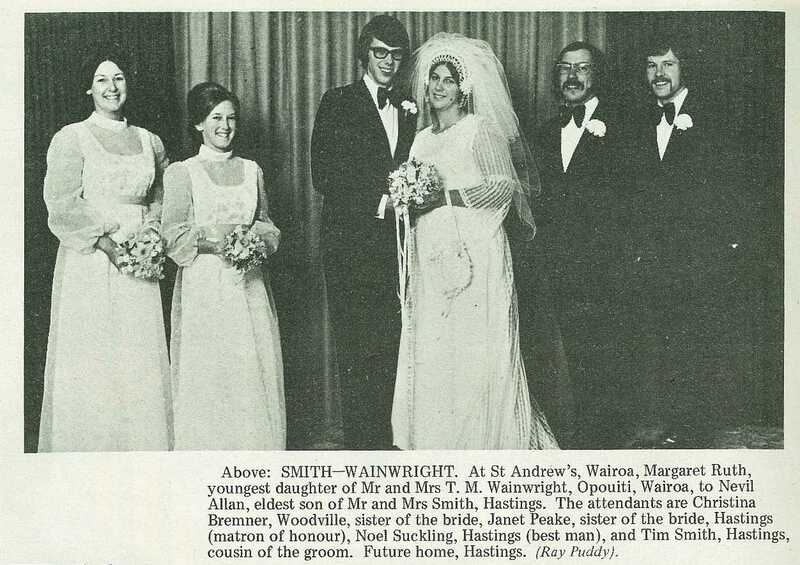 Smith–Wainwright. 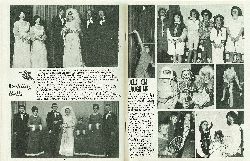 At St Andrew's, Wairoa, Margaret Ruth, youngest daughter of Mr and Mrs T. M. Wainwright, Opouiti, Wairoa, to Nevil Allan, eldest son of Mr and Mrs Smith, Hastings. The attendants are Christina Bremner, Woodville, sister of the bride, Janet Peake, sister of the bride, Hastings (matron of honour), Noel Suckling, Hastings (best man), and Tim Smith, Hastings, cousin of the groom. Future home, Hastings. 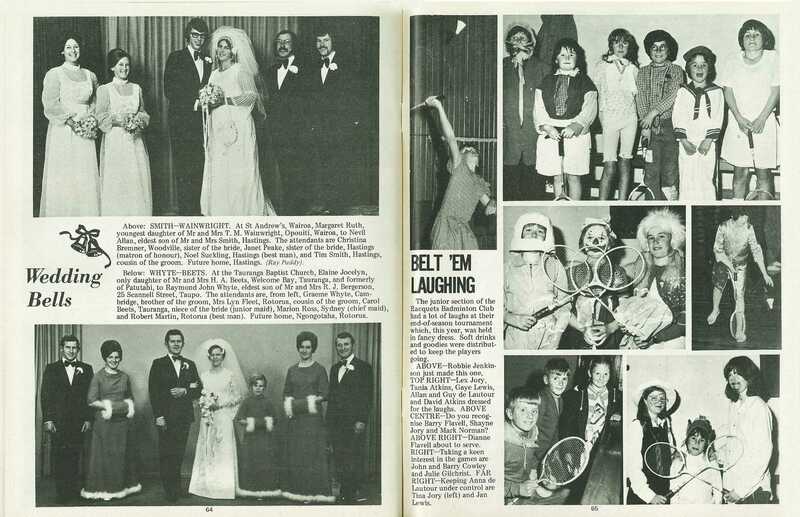 (Ray Puddy). Whyte–Beets. At the Tauranga Baptist Church, Elaine Jocelyn, only daughter of Mr and Mrs H. A. 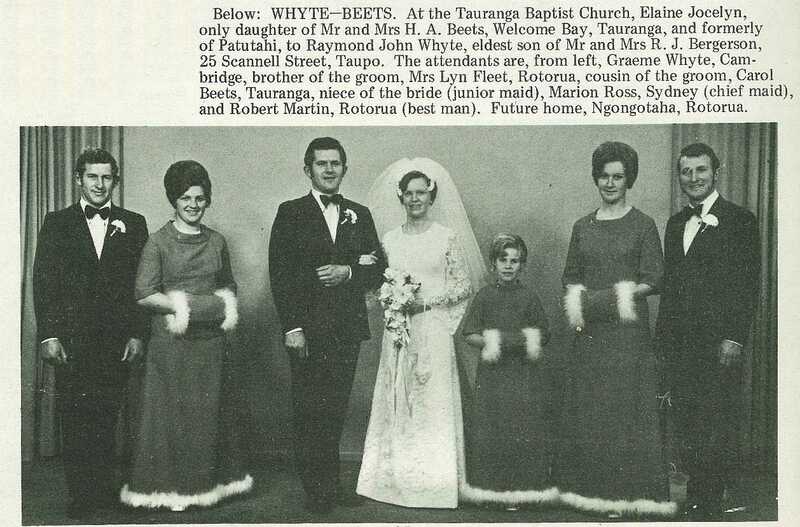 Beets, Welcome Bay, Tauranga, and formerly of Patutahi, to Raymond John Whyte, eldest son of Mr and Mrs R. J. Bergerson, 25 Scannell Street, Taupo. 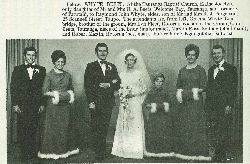 The attendants are, from left, Graeme Whyte, Cambridge, brother of the groom, Mrs Lyn Fleet, Rotorua, cousin of the groom, Carol Beets, Tauranga, niece of the bride (junior maid), Marion Ross, Sydney (chief maid), and Robert Martin, Rotorua (best man). Future home, Ngongotaha, Rotorua.